The Best Whisky Book Ever – A Must Read! “Since I write a fair amount on wines and spirits, and especially whiskies, I have amassed a decent library of books on these subjects for reference. 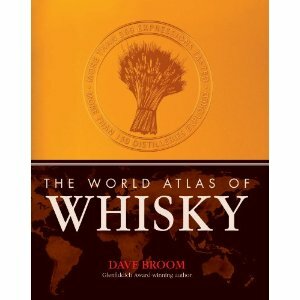 But until I got The World Atlas of Whisky as a gift from a friend (Thanks PG! 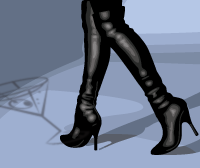 ), I had no idea what I was missing. Author Dave Broom has already won the coveted and prestigious Glenfiddich Award for Drinks Book of the Year – twice – for his earlier works Drink! and Rum, and he is the editor of Scotch Whisky Review and editor-in-chief of Whisky Magazine: Japan. He has been writing on whisky for a quarter of a century and contributes regularly to the Daily Telegraph and many other UK publications. In short, he knows a wee bit about the water of life. But knowing is not the same as telling, and this is where Broom excels – at imparting useful information. Booze can be a pretty dry thing to read about, and no amount of words like “Darjeeling tea,” or “kumquat peel,” will help anyone understand whisky.